US promo sampler with original cover. 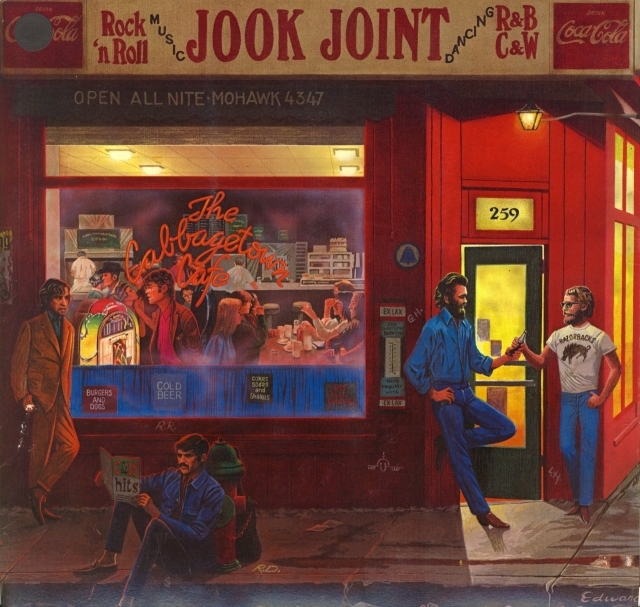 The outer sleeve (painting by Eduard Kasper of "The Cabbage Town Cafe" next to "Blackie's Pool Hall") could quite originally be folded out into a poster that could be used in the shops. 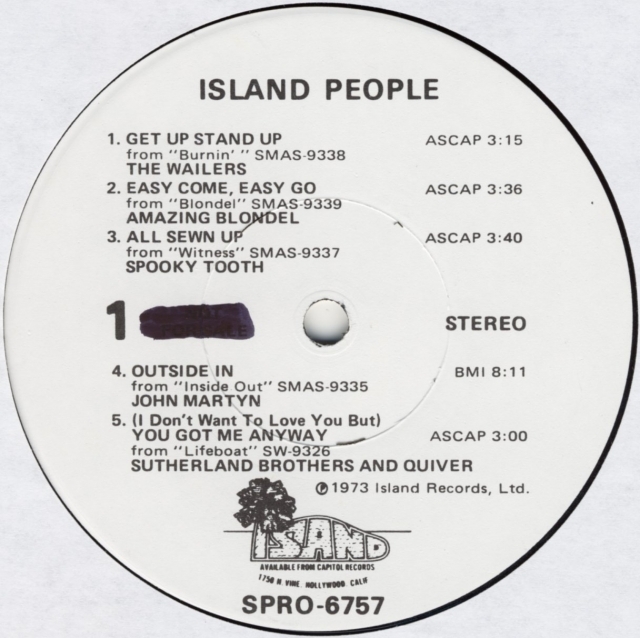 ISLAND PEOPLE are a unique group of artists, whose records are not "product" but works of art - all appreciated for what they bring to the world of music. The ISLAND PEOPLE are distributed by the Capitol People, who have a complete support program for these artists. JOHN MARTYN - INSIDE OUT. John Martyn turned-on audiences and gained rave reviews during his tour last spring 1. His virtuosity on guitar, his distinctive vocals, and his songwriting talent are not to be missed on his new album. John will be touring the States again this fall 2. 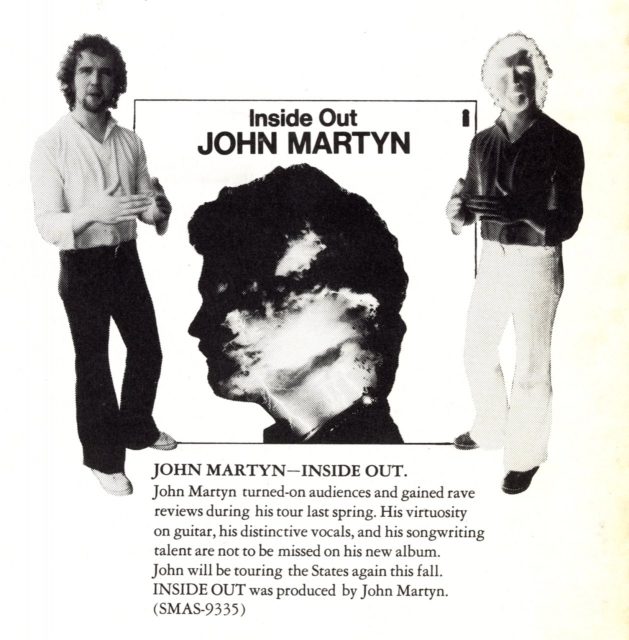 INSIDE OUT was produced by John Martyn. 1 muffnote: Second 1973 tour, February, to promote Solid Air. 2 muffnote: They must be referring to the November and December shows, mainly with Foghat. SPRO-6757-F-1 and SPRO-6758-F-1 (hand carved). Part of the inner sleeve..